As the poll-bound BJP government is striving to get lawmakers' nod to get a 10 per cent quota for the economically backward upper-castes practically making everyone eligible for reservations, MIT economist Abhijit Banerjee has opined that we badly need to make government jobs less "cushy" to improve labour market conditions. 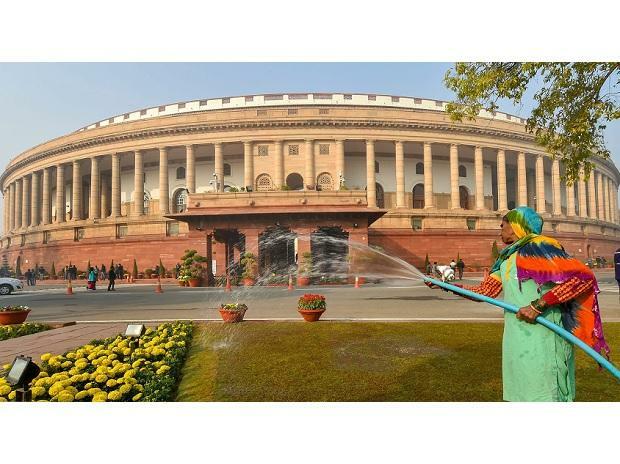 The Narendra Modi government has already passed the 124th Constitutional amendment Bill in the Lok Sabha Tuesday with just three MPs opposing the proposal, the Bill is being debated in the Upper House Wednesday. According to analysts, this will make almost 87 per cent of the population eligible for this quota. Already, 50 per cent of the government jobs are reserved for lower castes after the Supreme Court capped it at level.The Bill seeks to offer 10 per cent Central and state government jobs to all those who are economically backward, including minorities who have an annual income of Rs 8 lakh or own under 5 acres of farmland. The move also goes against the Constitutional mandate of caste-based reservations for the backwards classes and not based on creed or economic conditions. Banerjee, said Wednesday that people prefer government jobs as they are well paid and has no very strong obligation to work. "We need to make government jobs less cushy and make them count more," Banerjee said while delivering the Exim Bank's 34th commencement day annual lecture here this evening. Citing the example of a whopping 2.8 crore applying for 90,000 low-level Railway jobs last August, the economist called for starting a mandatory apprenticeship programme for government jobs. "For all government jobs, make five years of apprenticeship mandatory. If you are good at the job you keep it and, if not, you can leave it," he said, adding the step will change the attitude towards government jobs. "It will free up the labour market because people will realise that they can't get the job by giving tests and that they have to do something to get the job," said Banerjee who is the Ford Foundation's international professor of economics at the Massachusetts Institute of Technology. He further suggested that creating real special economic zones (which are not limited to exports) with access to transport infrastructure, land and environmental clearances can be one possible solution for creating more jobs. Against a promise of creating 1 crore jobs every year, which was the poll promise of the prime minister, the note-ban and GST implementation have ensured that millions of jobs were lost since this government came to power. In 2018 alone, as many as 11 million jobs were lost, according to the latest CMIE data. According to Banerjee, the social policy framework of the nation was designed at the time when it was one of the poorest countries in the world but now it requires a reset in these policies. The new social policies should focus more on improving education, healthcare, jobs, social protection and urbanization, he said. Banerjee said while the country is increasingly focusing on tertiary care, there is an urgent need to focus on primary care, which includes early detection and more credible advice from healthcare providers. He suggested that recognizing the presence of such healthcare providers and regulating them by frequent tests of competence and certifications could be some possible solutions for this issue. Significantly, Nobel laureate economist Amartya Sen has described the 10 percent reservation bid as a "muddled thinking" that raises serious questions about its political and economic impact. Talking to PTI in Kolkata Wednesday, Sen said, "the reservation for the low income upper caste is a different problem. If the whole of the population is covered by reservation then that would be removal of reservation? "Ultimately this is a muddled thinking. But this muddled thinking may have serious political and economic effects which are seriously questionable," he warned.